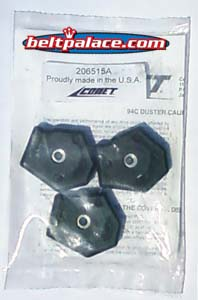 Comet 206515A | Comet Industries Activator Pucks for 94C Duster (Smooth Cover) | Sold as One Package of 3. 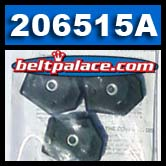 Home > Comet Clutches and Parts > Comet 206515A. For 94C Comet Duster. Sold as One Package of 3. Comet 206515A. Activator Puck 3-Pack For 94C Comet Duster Clutch. Comet 206515A. For 94C Comet Duster. Sold as One Package of 3. Comet 206515A. Activator Puck 3-Pack For 94C Comet Duster Clutch. Sold as One Package of 3. Must be used with matching "SMOOTH" cover design. Genuine Comet 94C Duster Replacement Parts!